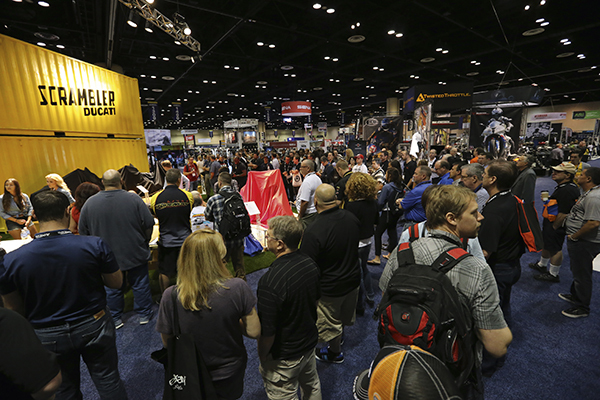 THE third annual AIMExpo (American International Motorcycle Expo) at Orlando, Florida, (October 15 - 18) is headed for further growth this year and now includes added v-twin aftermarket features. 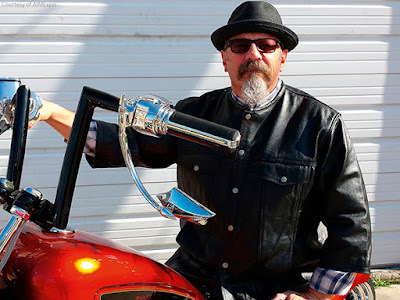 The event continues to differentiate itself from prior 'mainstream' trade show formulas in the United States and delivers on former MIC Chairman Larry Little's vision of bringing a European style Milan or Cologne Show motorcycle industry experience to the North American motorcycle market. Bob Kay, v-twin industry event director, says that AIMExpo has "created a new paradigm for motorcycling. A way to come together at one place, at one time, at the right time adjacent to an existing major rally - Biketoberfest - in a grand celebration of the riding lifestyle and business. 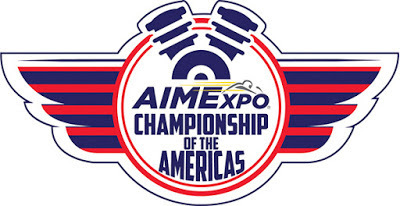 "The first and only combined trade, media and consumer enthusiast bike event in the United States, AIMExpo has already changed what an event could and should look like. This year we will show how the v-twin and custom influence has been seamlessly integrated into AIMExpo. The AIMExpo platform has been designed from the ground up to respond to the direction provided by the industry and the needs of exhibitors, dealers and enthusiasts in the 21st century." New features this year include the 'Made in America' themed exhibitor zone, which will provide domestic US v-twin (and metric/crossover) application parts and accessory manufacturers with a focused showcase for their products. The Championship of the Americas (COTA) is an all new custom bike competition affiliated to the AMD World Championship of Custom Bike Building. The builder of the Best in Show custom bike will win an expenses-paid trip to go forward to compete at the next AMD World Championship at the INTERMOT Expo at Cologne, Germany, in October 2016. Bob Kay told AMD that the first competitor entries have been received already. The classes (Freestyle, Retro Custom, Street Custom and Performance Custom) are non-brand specific showcases designed to provide builders with a structure and environment that recognizes and promotes the "emerging and changed approach to what constitutes the real world and affordable custom design and engineering that has emerged from the new generation of custom bike builders. "Millennial bikers are leading the way when it comes to appreciating motorcycles for their form and function over any particular brand. It is not uncommon to see custom Yamaha Bolts alongside Harley Sportsters or a cool Ducati Cafe cruising around with a Triumph Bobber," says Bob. Recognition that there is a new generation of young entrepreneurs with a new and unique take on custom creativity and their garage-built bikes and accessories has been behind another new feature - the 'Garage Party'.